Progress! 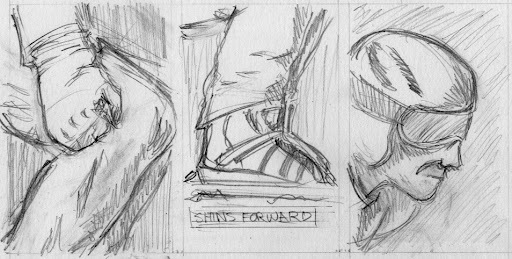 Penciling part one went smoothly and today I begin inking. At this point the script feels strong, and the underdrawings seem to work, so now it's up to the inks to "make or break" the story. I'm planning on really taking my time and being careful with all the black. Most of this story is either black night or white snow, so you can probably see why I thought it might work without color. 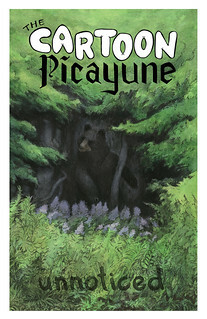 This story along with Bittersweets and Bittersharps, will fill out the first issue of The Cartoon Picayune. Part two will be in the second issue. Below are three panels from the first page — each of which I had to redraw several times — that I look forward to rendering in ink.